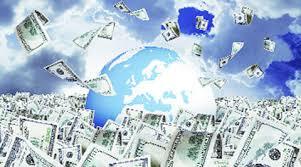 A strong U.S. dollar means greater purchasing power overseas. How can you benefit and invest in your business as a result of this economic change. 1. Cost of Operations Can you run your business overseas? Many companies today have relocated their operations to Latin America or outsource certain business activities. 2. Cost of Employees and Staffing You can hire similar talent overseas and reduce some of your overhead from 30% to 100%. 3. Quality of Life You may relocate some of your U.S. employees and have them living overseas, cost you less and they can have a better qualify of life. A strong U.S. dollar has advantages if you can relocate your operations overseas. When you think about how you will invest in your business, consider investing overseas.